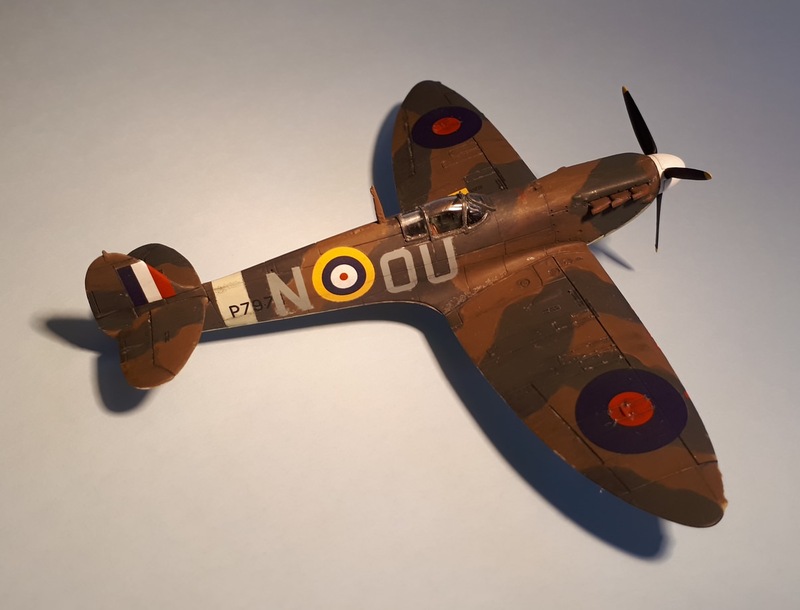 Just finished this one - well actually realised I need to add the IFF antennae, wing tip nav lights and do a few touch ups but effectively it's done. 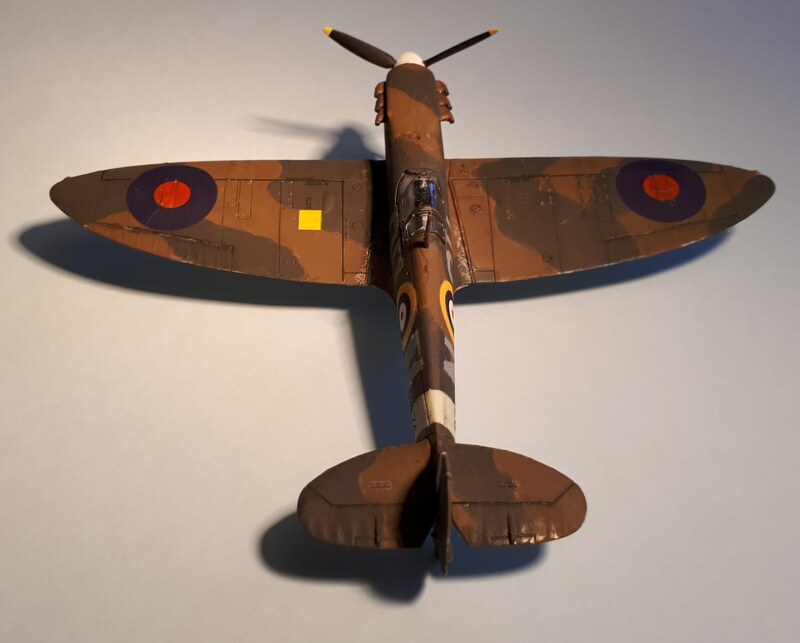 This is the new tool Airfix 1/72 Spitfire Ia kit which I have converted to a IIa using the 3D-Kits conversion set. Markings are for the Battle of Britain veteran Athol Gordon MacIntyre from 485(NZ) Sqn in the summer of 1941. 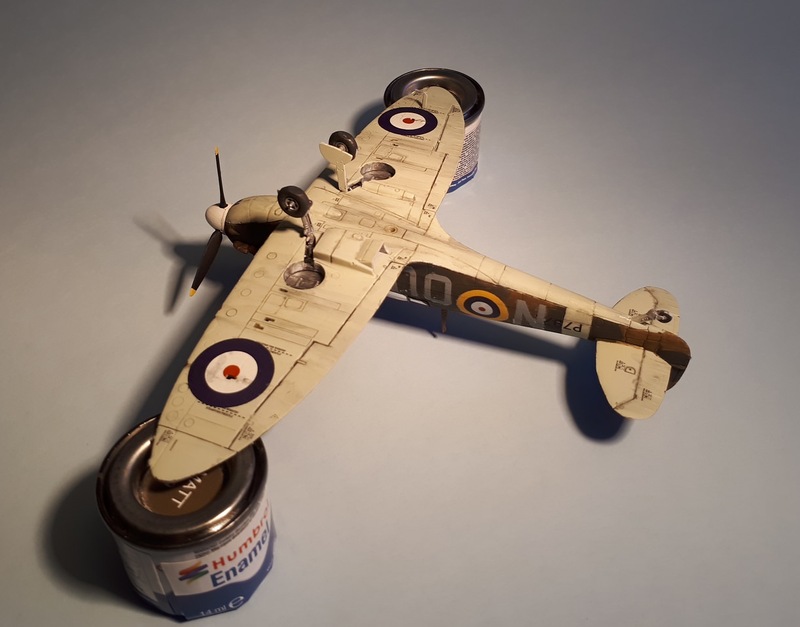 Decals are a combination of kit, Carpena, Xtradecals and 3D-Kits, paints are Humbrol enamels, weathering is chalk pastels and silver artists pencil. Not perfect by any stretch of the imagination and there's a few little bits and bobs which I could have done better but overall I'm very pleased and of course it's always nice to finish a kit. It's so beautifully made, great paint work and weathering! Looks good and nice to see you haven't gone for the 'paving stone' style of panel wash.The details in your photos look about right for this scale. Thanks Saratoga and Dave, much appreciated!